Not many cities in the world can compete with Hong Kong in relation to shopping. You will be amazed and surprised with things that you see in markets, shopping malls, and other shopping areas. Huge number of possibilities will satisfy anyone’s needs no matters whether you are searching for food, fake or middle-quality goods, up to luxury Western or Chinese brands. According to your preferences, you may choose to shop in small markets, street shops, or in some of the biggest and opulent shopping malls. 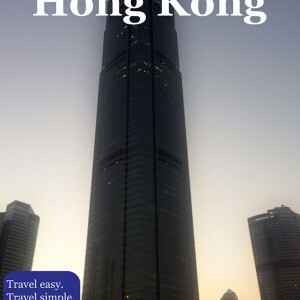 However, if you expect to find goods of high quality for small prices, you will probably remain disappointed, since Hong Kong is the city where you can be astonished by the vast array of opportunities for shopping, yet not very cheap ones. Hong Kong has a reputation of the place where you can buy tailor – made suits of high-quality dating even from the colonial period. Suits are made by skillful Indian and Chinese tailors and they are certainly worth paying attention to. Many of those factories have been working for decades, some of them even longer than one century. Besides this attraction, cosmetics, clothes, antiques, electronics, computers and camera equipment are also convenient, due to a great assortment and prices. The ones who don’t have to worry about prices, with the possibilities to buy luxurious things will certainly be satisfied with the offer of jewelry and watches. Some of the open street markets, such as Temple Street Night Market, Stanley Market or Ladies Market can also be quite interesting as there you may have a chance to bargain. Nevertheless, even if you don’t manage to buy anything, the experience of Hong Kong through the lens of street stalls can be quite enough. Eventually, no matter which part of Hong Kong you are at, it will not be hard to find a place for shopping, since shopping malls and markets are all over the city. Though the whole city is devoted to shopping, there are some most popular areas, such as Causeway Bay, Central, Mong Kok and Tsim Sha Tsui. On the first glance Causeway Bay area is quite small, but if you start checking each shopping mall, department store, boutique or market stall, you will probably need the entire day, even more than that. Though usually locals prefer this shopping area, it can also be appealing to tourists, since there is something in the air that constantly gives the impression of a festival atmosphere. From the stores offering shoes, clothes or bags, you may also find electronics, food, and many more things, with the best possibility of bargaining. Out of all places to check, maybe the most important are SOGO, biggest department store, and the Times Square shopping mall. For brands such as Gucci, Armani, Chanel, Cartier, Louis Vuitton, and other world’s most famous brands you should visit Central area of Hong Kong, where besides them, you may find some of the most expensive Chinese jackets, accessories, and other clothing. These things are mainly present in the center known as The Landmark. This area will probably remind you of the shopping streets of New York and London since there are many similarities regarding the organization of the stores and outlets of the popular designers. Among all the places, Pacific Place and IFC Mall are shopping centers that sell everything, ranging from clothing to electronic, and probably the most famous places of this district. Mong Kok, though not completely covered with neon advertising signs like Causeway Bay, is also a very interesting shopping area. It is not surprisingly that somewhere it is marked as an area for women since the products that are offered are usually intended for them, starting with cosmetics, shoes, clothes, and other necessary things. Bargaining is also possible, but it is important to mention that here you may find slightly cheaper things, considering the fact that Chinese fashion and copies of different world brands are available. Tsim Sha Tsui is probably the biggest concentration of shopping malls, stores, restaurants and other places where you can enjoy exotic shopping. The street is in a complete order, heavy traffic and the crowd of citizens and tourist can never affect the shopping harmony that is present in this part. It can freely be described as an enormous world bazaar. The leading road of Tsim Sha Tsui is called Nathan Road, and other streets spread out from there. Those streets are usually full of different stores of international and not surprisingly quite expensive brands. The Park Lane Shopper’s Boulevard is among the most popular to try and find fashionable clothes. However, Hong Kong’s biggest shopping mall – the enormous Harbour City is not to be missed as well, since its long tradition and quality speak for themselves. As mentioned before, tailored suits and shirts are very popular in Hong Kong and there are many quality places, with a long tradition and decent prices. Tailored suits and shirts are definitely something worth buying and their reputation is well – known around the world. The most famous tailors are on Hong Kong Island and Kowloon Side, considered to be a huge attraction on its own right and a must – visit in Hong Kong. Address: Shop 2031, Podium Level 2 of IFC Mall, 1 Harbour View Street, Central, Hong Kong Island – Check website for more locations. Though marked as shopping paradise in general, Hong Kong is maybe the biggest paradise for buying electronics and computers. Not just that you will find a huge choice of different equipment, but this city is also the place to find the latest and the best of all things. Aforementioned areas, such as Causeway Bay and Tsim Sha Tsui are maybe the most suitable, and if you need anything, it will probably be enough to visit those two areas. In Hong Kong, you may find a wide selection of cosmetic products, often at discounts and low prices. The largest selection of cosmetics is in the chain of cosmetic stores Sasa and Bonjour. Both chains have stores all over the city and most of them are quite easy to find. For those who are interested in the Japanese make-up, it can be found in the shop that specializes in the Japanese cosmetics – Lan Lan Cosmetics House. The store offers brands such as Shiseido, Cle de Peau, Maquillage, Lavshuca, Kanebo, Jill Stuart, Polo, etc. Hong Kong is known throughout the world for its offer of jewelry, especially for its high-quality gold, diamonds, jade and expensive watches. Many stores have a long tradition of several decades, and in terms of quality of materials and workmanship, Hong Kong stands out for its large selection of beautiful pieces of jewelry, designed to meet the tastes of the most demanding customers. The best choice of jewelry shops is in the Nathan Road and Mong Kok in Kowloon and Hennessy Road (Causeway Bay) and the Central district of Hong Kong Island. Those who want less expensive pieces can visit the Jade Market in Kowloon. If you are a lover of Chinese antiques, Hong Kong is the perfect place for you. There are numerous opportunities for shopping of such goods, though the prices are not for everyone’s budget. However, there is a possibility to be tricked with fakes, so you should be quite careful. Hong Kong’s Tourism Board displays proven antique dealers, so that is the best way to buy things doubtlessly. The best places to buy antiques are Hollywood Road and Cat Street, both in Central District on Hong Kong Island. In Hollywood Road are the best antique stores, with a large selection of interesting and often expensive antiques, while the Cat Street is for those with not a huge amount of money, where replicas and souvenirs are mostly sold.